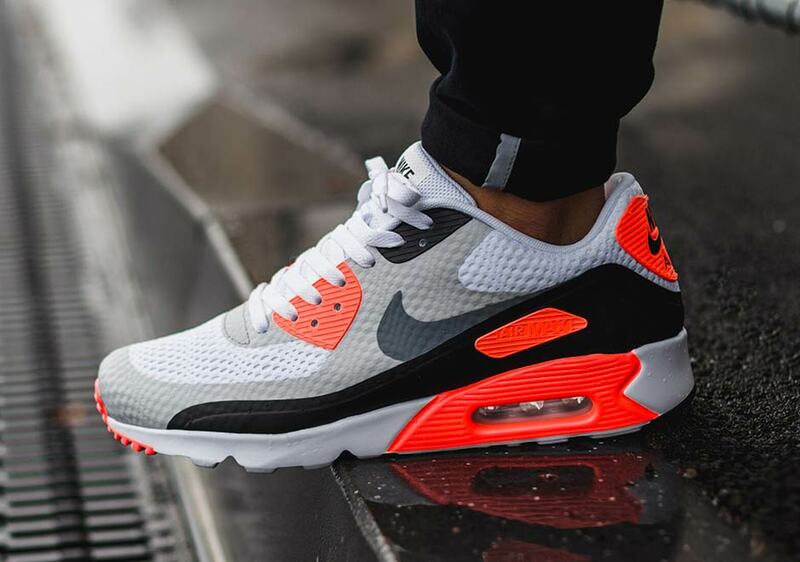 The Nike Air Max 90 “Infrared” was one of the better retros Nike Sportswear brought back for the silhouette’s 25th anniversary this past year. 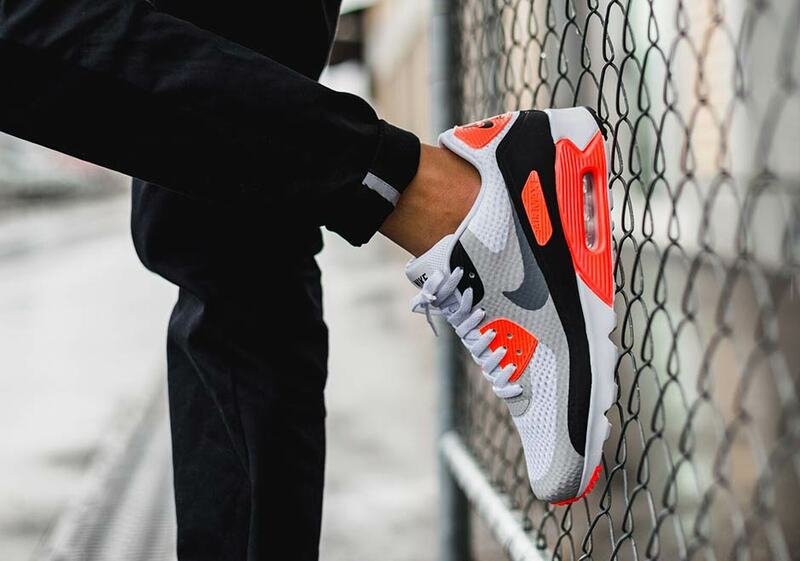 The iconic aesthetic definitely pleased multitudes of Swoosh fans the world over even though the colorway has been rehashed an infinite amount of times on new renditions of the Nike Air Max 90. How about just one more? 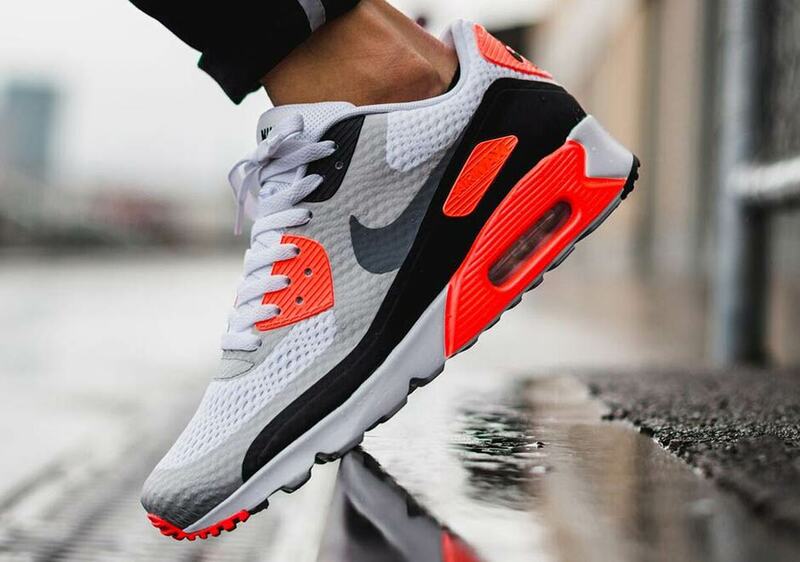 This coming Spring 2016, Nike Sportswear is revamping the AM90 with the introduction of the Nike Air Max 90 Ultra. The slimmed down appearance is due to a bolstered mesh and fuse upper which sees the usual suede panels ditched for these materials that are more in line with the times. When looking at the outsole/midsole combination you’d never know that it was lighter until you looked at the shoe’s bottom, where an Ultra Moire-like excavation sheds some of that 90s heaviness. Stay tuned for a stateside release date come January 2016 and let us know if you’re a fan of the new-school take on the classic Infrared 90 look by taking your thoughts to the comments section.